Notes: Mut Castle is a castle in Mut, Mersin Province, Turkey.The neighbourhood surrounding the castle during the Roman Empire was known as Claudiupolis. According to unconfirmed reports Claudiupolis may be even older than the Roman Empire (up to Hittites). 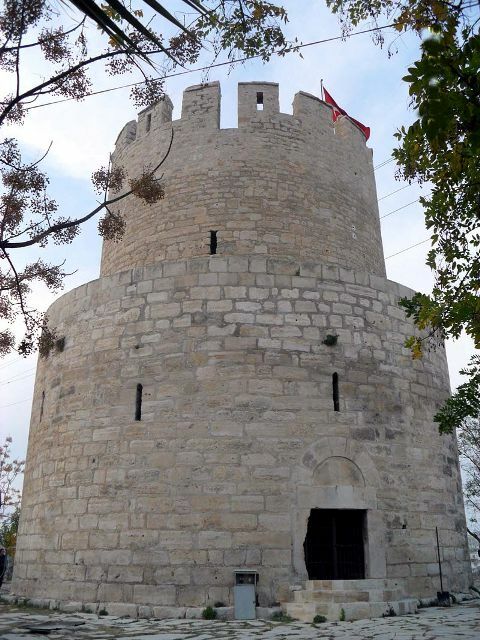 Although the building date of the castle is unknown, it is known that the castle had been used during the Byzantine Empire period. In 1228 (?) the Karamanids (a Turkmen dynasty which controlled a part of Anatolia between the 13th and 15th centuries.) captured the castle and rebuilt it. (Mut was frequently used as a co-capital of Karamanids). In 1473, the castle was captured by the Ottoman Empire.During the reign of the Ottoman sultan Ahmet I (1603-1617) the castle was renovated .